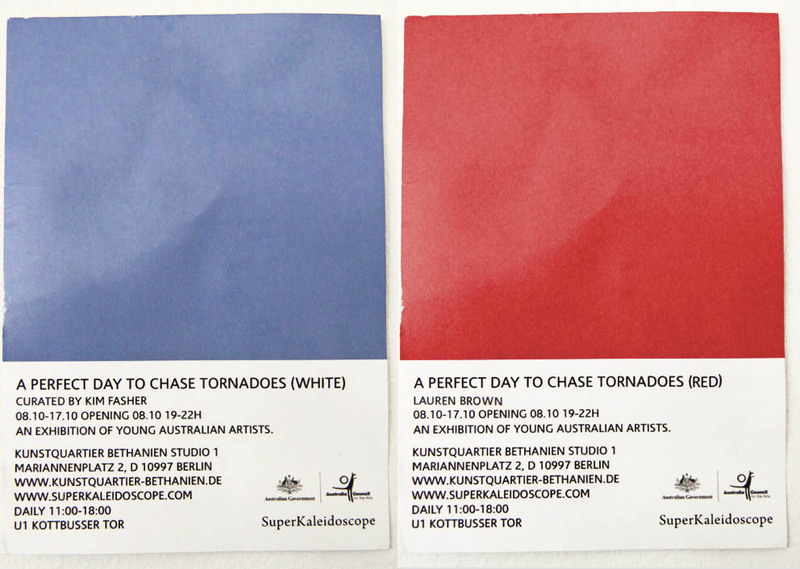 For those of you in Berlin this weekend, I'm doing a little intervention/performance as part of SuperKaleidescope's exhibition, A Perfect Day to Chase Tornadoes (White) at the Kunstquartier Bethanien in Kreuzberg. 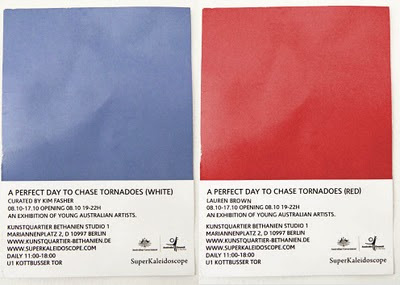 It's the final day of the exhibition and let's just say that the work will be a goodnight and goodluck gift. The exhibition is open from 11:00 - 18:00 and i'll be there most of the day. Come and say hi. which is a miracle, considering it was by my side for 6 hours. dancing in the streets again.